If you are planning to enrol your baby in a preschool then you have to know what is the right age for your baby to join preschool. Here we are going to discuss some important facts that will help you get an idea when your baby can join the preschool. Deciding the right age is not an easy task for parents. Parents have different reasons for enrolling their babies in preschool at an early age. The most common reason is that both the parents are working and want to see their baby being taken care of in the right hands, especially where the child can develop properly. Most of the parents enroll their children in preschool at the age of two or two and half years. But it is not necessary that your child is mentally prepared at this age. Some parents want to make their kids familiar with the social environment so they enroll their kid in a reputed preschool at an early age. In order to determine the right age, it is necessary to analyze his experience outside a preschool in a normal setting. There are a lots of ways that can help you to create a school like environment at your home. Bring lots of story books and comic books at your home. Make sure you have some books that are informative, some inspirational and some visually interesting too. There are various educational cd's and games available in the market. Try and give your child an amicable environment by inviting friends and realtives often to soacialize with your baby. If your child grows up in such a healthy environment then you don’t have to enroll your child in a preschool at an early age. But parents have to give enough time to the babies. Also participate in play activities with your baby. 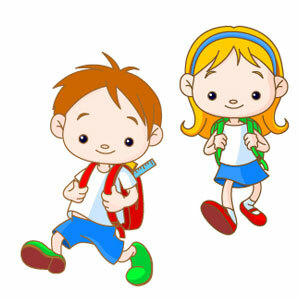 Child should not feel any study burden at this young age. Make learning as fun for him. It is commonly found that some children like to interact with small babies. On the other hand, some kids like to interact with adult babies. Before enrolling your child in preschool, it is necessary that he should be able to take care of himself. He should be properly potty trained and should be able to carry himself properly. It is found that young children often suffer from ear infection. It is necessary to give proper care to the baby for eliminating any health disorder. If you are not able to give positive environment at home then it would be better to enroll your baby in preschool at an early age. Shyness is one of the most common problems faced by preschool babies. As your baby gets acquinted with the environment and the people, the shyness will slowly get eliminated. Persistent shyness often inhibits kids from experiencing new things and enjoying their early schholing. Here are some ways that can help you in overcoming shyness. First, it is necessary to understand the main reason of shyness. Sometimes it may be the sign that your baby is not comfortable in a particular situation. Shyness is a common problem with preschoolers. They don’t like to participate in social activities or interact with the strangers. It would be better if it eliminates with time otherwise it can be a barrier in the success of your child. If parents are aware about shyness at the right age then they may take appropriate action at the right time. A child learns a lot from his parents. So parents should be ideal example for his child. They try to imitate the respond of their parents towards social activities and behave the same in their future. You should be more careful when you are around your preschooler. Don’t forget to greet the stranger with Hi or Hello. Make effective communication with the strangers. Also introduce your preschooler with your friends or relatives. Ask him to greet the strangers in the same humble way. Always be ready to help people in need. Your behavior should be calm with others. Don’t forget to get involved in social gatherings every time. This is the best time to make your kid meet number of strangers and notice his behavior with others. If he still feels shy then you can do more work over him. The next important step is to give him some time for preparing himself. Encourage him to participate in group discussions, workshops and various other activities. This is best way to make him more confident before strangers and his friends. If he is facing some problem then ask him to solve the problem itself. In this way, he would become more responsible and be able to handle every possible problem himself. Teach him to think positive in every negative situation. Give him small responsibilities according to his age. Ask his view for different situation and problem. Also encourage him for his positive qualities and success. This would help him in keeping the same track for the complete life. Ask him personally what makes him nervous among others then solve the problem lovingly. This reaction would have a positive effect on your baby. You should be a good listener and hear every reason of your baby patiently. Sometimes healthy communication is enough for eliminating shyness. Most of the babies are afraid of teachers. In such situations, take him to the teacher and interact in a friendly way. Make him realize that there is nothing to get afraid of the teacher. Teachers are also like parents for preschoolers. Teachers should also react positively and tell them that they are available for every problem and playing with them. Create social environment at your home and also prepare him for various social activities and outdoor games. This environment would give him a chance of interacting with strangers. The article concludes that inspite of schools and preschools setting an approprate age for children, it is the parents decision ultimately. Keep in mind all the factors that could affect your child's growth and then make a sound decision.